Being a good or great writer is certainly no guarantee of having a great, good or even remedial grasp of politics, culture or, really, anything at all. Yet there are writers whose intellect outside their books approximates their intellect in their books, and so it can be worth hearing what they have to say. For writers from Central and Eastern Europe it is enough of a struggle to get their novels, poetry, essays, diaries etc. translated that expecting to be able to read their magazine editorials and interviews seems a bit much to expect. But that’s where the Slovak civic association Project Forum comes in, with regular translations from regional Visegrád country magazines, articles that often boast writers opining on this or that. Hungarian novelist Péter Esterházy talks about one of my favorite subjects – the “Central European mentality.” He splits it into two teams (okay, so he doesn’t use the word teams, but it ties into the next article). On one side is Claudio Magris, to whom he attributes the “Danube or the Habsburg myth” and says that he takes a wholly cultural as opposed to a historical approach. 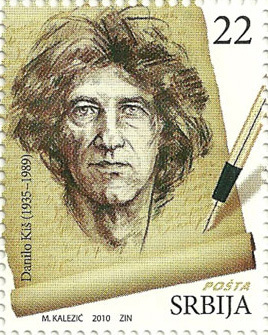 The other Central Europe, reflected in Danilo Kiš, “reflects the same spiritual wealth, while constantly confronting it with the presence of brutality …” Surprisingly (to me at least) Esterházy then makes a case for the Magris outlook. Back to more serious matters (though football can be very serious, as can Czech literature) Slovak novelist Michal Hvorecký offers suggestions on teaching literature in Slovak High Schools. The ideas are all very good, and would certainly be an improvement over rote learning and worthless memorization, but from my perspective at least, High School itself poisoned even the best ideas, so while I will probably never read Lord of the Flies or Catcher in the Rye because of the memories they evoke, I feel grateful that my English teachers never mentioned Kafka or Kundera or Gombrowicz. This reminded me of Galeano’s ‘Soccer in Sun and Shadow,’ which is a wonderful football book. I wonder if you could extend the comparison of a nation’s literature and its football team — and pursue this on every continent. What would happen? I think it would end up being like horoscopes, where the shared qualities are just vague enough to fit, but could just as easily fit another team/national literature. Brazilian writers would certainly look good though.